Iouliani Theona has a background in Architecture. Her research interests and design work lie in the intersection of physical environments and the digital realm. She has been awarded: a Master’s degree in the field of Architectural Design [National and Technical University of Athens - NTUA] and a Master’s degree in “Digital Communication Media and Interactive Environments” [National and Kapodistrian University of Athens - UoA]. Currently, she is a PhD candidate in the School of Architecture, NTUA, investigating techno-environments, in particular how technologies transform the urban context and the spatial experience they afford. She collaborates as a researcher with the Spatial Media Research Group, at the Faculty of Communication and Media Studies, UoA, having participated in a variety of research projects and being a founding member of the organizing committee for the Hybrid City Conference series. 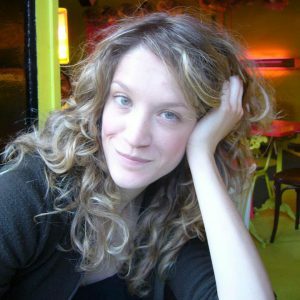 Her research interests include technological mediation, pervasive and ubiquitous computing, locative media and hybrid spatial experiences. © 2017. Spatial Media Research Group.